The best time to photograph your little one is during the first 14 days while your bub still naturally curls up. Of course, I understand sometimes it's just not possible to have your shoot this early. If this is the case, please don't worry, I can still photograph your new addition, I just can't promise any particular poses. Between 6 and 10 days is my favorite time! It is best to pre-book during your pregnancy so you don't miss out. These reserved sessions are limited to ensure I have enough time in case a few babies arrive early or late. When you pre-book, your due date will placed in my diary and then I will wait to hear from you. Once bub has arrived please contact me(a text message is perfect) and we will organise a suitable time and date for your session. It's best if you contact me as early as possible as this will give us more options for dates. Didn't pre-book? That's OK I often have sessions available call or text 0400898600 and we can see what's available. 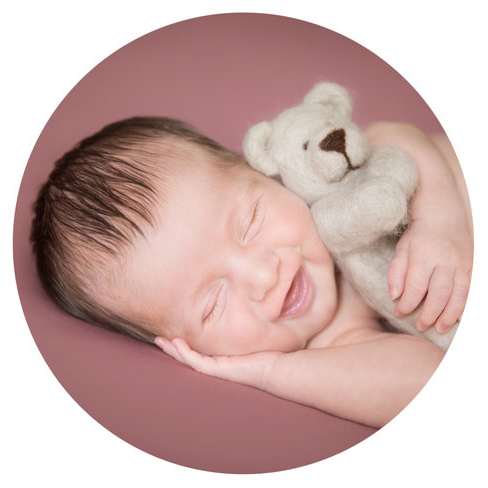 While you don't have to be photographed with your newborn, and I understand you may not be feeling your best, I have found that those images often become the most cherished, especially by your baby. So I encourage you to have your photo taken too and will make it as quick and easy as possible. Also remember, in this digital age if we take them and you choose not to include them in your final selection that's absolutely fine, I'd prefer you had the option then regret it later on! 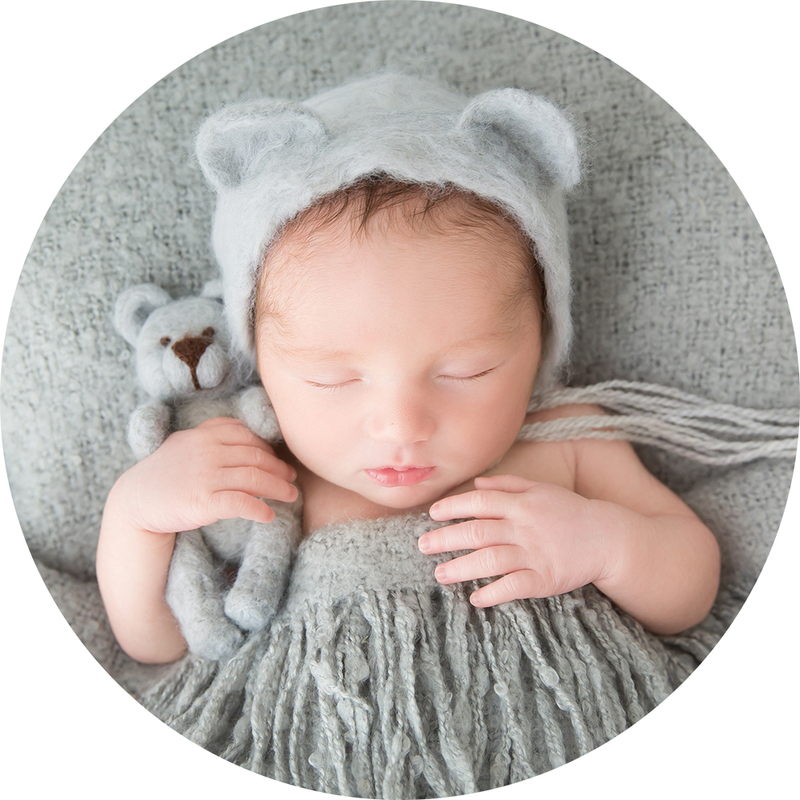 It's pretty special to have photos of the kids together, this is offered with all my newborn sessions. I'll work patiently with all your kids to get a gorgeous photo of them together. Safety is most important so if you dont think your kids will be able to safely hold the new baby we can get creative and create a composite image (two photos edited together to create one perfect photo). Your babies safety is my highest priority! For this reason I have completed many in person and online workshops/courses to learn how to safely pose newborns. If necessary I will create a final image by merging multiple photos in Photoshop so that no risks are taken. An example of this is my dream catcher images, where the bub is photographed with the prop safely on the ground and then edited to look like its swinging off the ground. Check out a video of this photo being created here. I allow three to four hours for each session. Please be aware that it may take some time, while four hours is generally not needed, babies can be very unpredictable with feeding and sleeping and it's important everyone is relaxed and no one feels rushed (including me - please dont book your newborn session before a maternal health nurse appt) because babies are clever little darlings and can sense if someone is stressed and then wont settle at all. Please take your time to feed at the studio, the deeper the sleep we can get bubs into the better. It's OK if your bub is not cooperating and feeding isn't quick, we will just go with your babies flow, there is plenty of time. Editing - All images in your order will be fully edited. So there is no need to worry if anyone has flaky skin, acne, jaundice, rashes, bruises or scratches as these can be removed if you wish (just let me know). BONUS: All pre booked newborn sessions get one free mini maternity session. Either come along to one of the free event days or book in a time that suits you when you book your newborn photography. For more information or to book call 0400898600.
featuring roughly 30 of your favourite images printed over 10 pages (20 sides) of beautiful art paper.